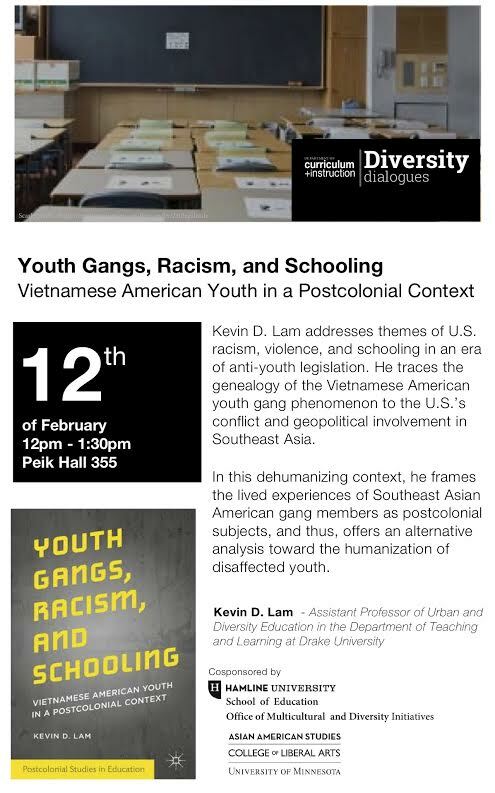 MINNEAPOLIS (Jan. 16, 2016) — Drake University Professor and author Kevin Lam will speak on themes of racism, violence, and schooling in an era of anti-youth legislation in the United States, drawing form the genealogy of the Vietnamese American youth gang phenomenon leading back to the U.S. conflict and geopolitical involvement in Southeast Asia. Lam, author of “Youth Gangs, Racism, and Schooling: Vietnamese American Youth in a Postcolonial Context” (Palgrave Macmillan) is an assistant professor of urban and diversity education in the Department of Teaching and Learning at Drake University. 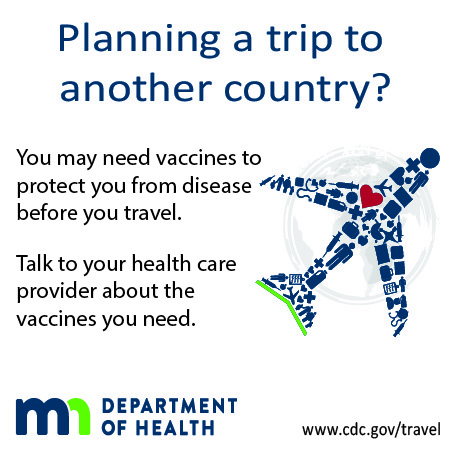 Lam will speak from noon to 1:30 p.m. Feb. 12 at the University of Minnesota, Peik Hall room 355, 159 Pillsbury Dr SE, Minneapolis (near the University Avenue Southeast and 14th Avenue Southeast intersection). The book examines Vietnamese American youth gang formation in Southern California, with an emphasis on the experiences of those heavily involved in the 1990s. The lecture is part of the Diversity Dialogues on education, difference and social justice and is Diversity Dialogues are sponsored by the Diversity Committee of the University of Minnesota’s Department of Curriculum & Instruction. Diversity Dialogues are free and open to the public and follow with time for questions and conversation. The event is cosponsored by Hamline University’s School of Education and Office of Multicultural and Diversity Education. Lam received his B.A. in Sociology and specialization in Asian American Studies from UCLA, M.A. in Social Foundations of Education from CSU-Los Angeles, and Ph.D. in Educational Policy Studies (Social and Cultural Studies) from the University of Illinois, Urbana-Champaign. He is currently the director of the Social Justice in Urban Education Program in the School of Education at Drake University. 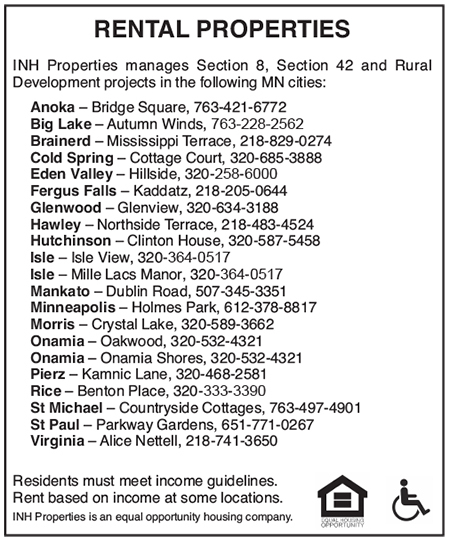 For more information call 612-625-4006.